Malta is an archipelago of three islands situated in the Mediterranean Sea, around fifty miles south of Sicily. There are no rivers of any significance on the islands, and the sparse annual rainfall is only about 500 mm. There is a water deficit in Malta. It occurs especially in summer when there is a great demand from the farmers for their irrigation and from the tourism sector. In order to bridge the gap between supply and demand, Malta has long ago started desalination of seawater. The technologies were initially based on evaporation. In 1981 the Government decided to invest in RO desalination capacity. 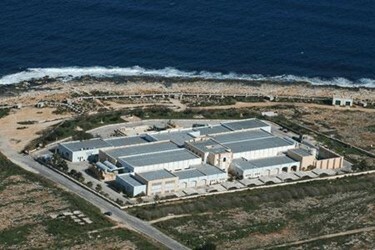 In 1983, after a construction period of only 11 months, the first seawater RO facility in Ghar Lapsi became operational. This was followed by a second plant at Cirkewwa in 1988 and third plant at Pembroke in 1994. In 1992 a government owned company, Water Services Corporation (WSC) was formed to supervise the water production and to manage the distribution system throughout the country.